Brown eyes are deep, soulful and downright beautiful. Unfortunately, only a lucky few know how to make them pop. That’s why we gathered the best makeup tips for brown eyes for you to try. 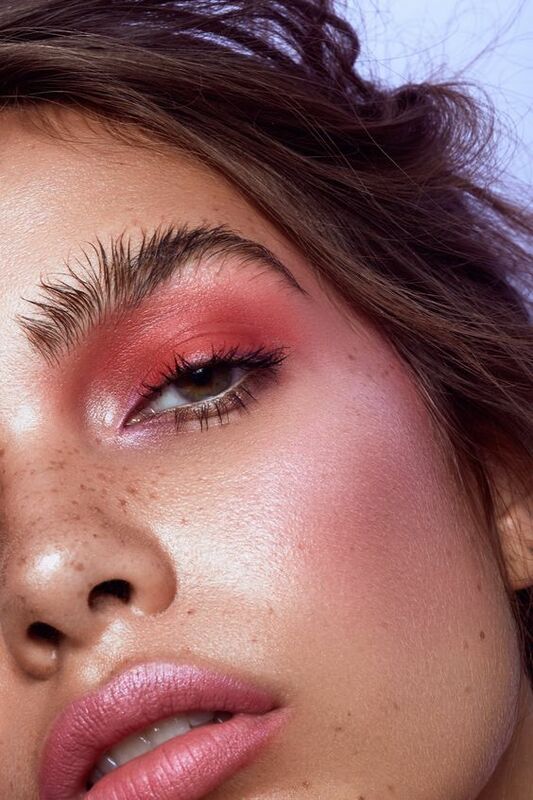 Loving the natural makeup trend for brown eyes. 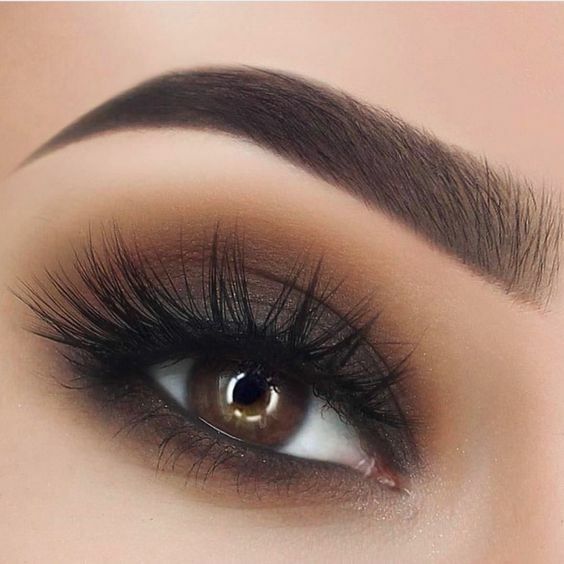 Highlight the beauty of your eyes with these makeup tips for brown eyes – try one or try them all – and make everybody around you get lost in yours! If you are looking for makeup tips for brown eyes for those trendy natural looks, you are in luck! 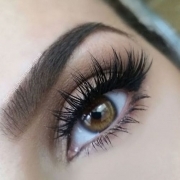 Neutral colors like gray, peach and brown, go great with brown eyes. To build up your look wear some eyeliner in these colors as well or add a winged liner. It will make your eyes pop. When it comes down to makeup tips for brown eyes, you can always stick to the classics. Plum, blue, gold, silver and green (yes, green) are all fab alternatives to the traditional brown or black eyeliners. Not that there is anything wrong with the classics. 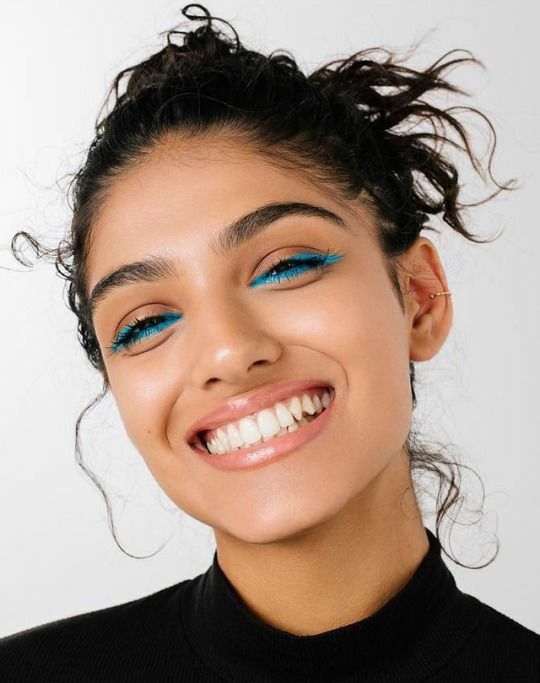 But go to your closest makeup counter and try some of these stunning colored eyeliners and you will fall in love with your eyes all over again! For those gals that want to try the latest trends, I dare you to try GenZ yellow eyeliner. Try some colored eyeliner. Yas to blue for brown eyes! Do you really think your brown eyes are boring? Maybe you should check these fab makeup tips for those brown peepers! We tend to think a certain eyeliner style does not go well with our beautiful brown eyes. Nothing could be further from the truth. Choosing the right eyeliner for your eye shape will make all the difference in the world. And here’s our handy guide on how to do eyeliner for your particular eye shape! 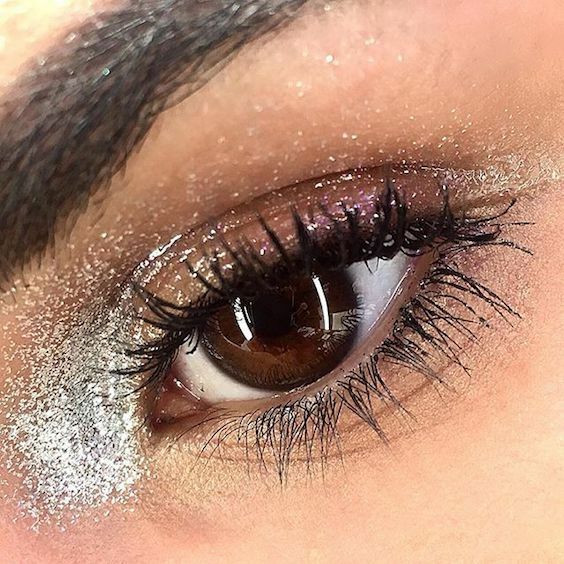 For a glamorous and festive look, add a short line of glitter. Sometimes a little goes a long way. Try soft pink eyeshadow and a pink eyeliner for the most romantic cat eye. 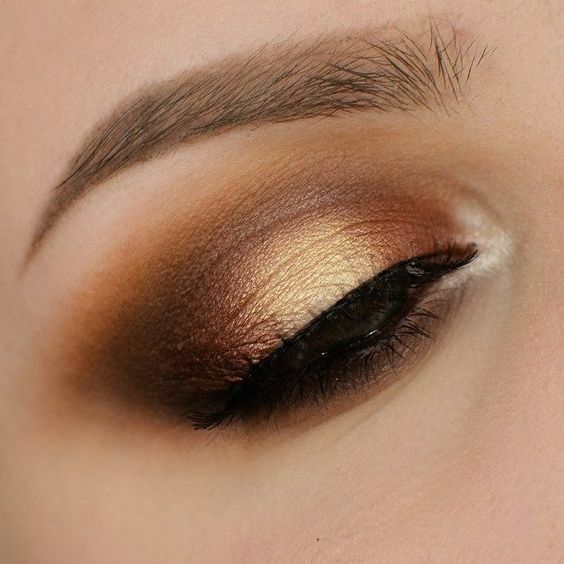 Make your brown eyes shine with a golden smoky eyes and step away from the sad panda look. So, instead of using black or gray eyeshadow, go for the gold, the golden tones, that is. It’s a great style to rock this holiday season, or to show off your dreamy brown eyes at any special occasion. However, a smoky eye looks fresh when a dash of metallic cobalt is traced from the inner corner to the center of the lid — a la Julien Macdonald. The lighter side of smokey: golds and browns. 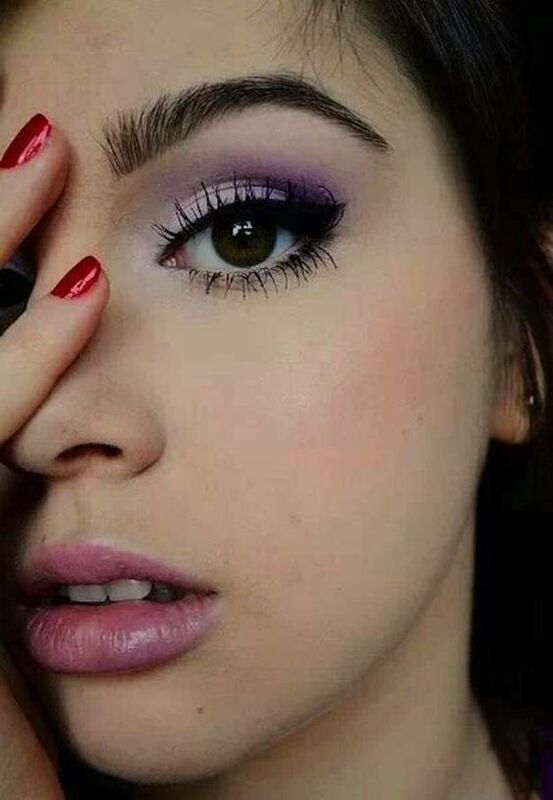 Lilac and purple eyeshadow for dark brown eyes. Most brown-eyed gals have beautiful dark brown hair, eyebrows and eyelashes. The last thing you want is to be monochromatic. 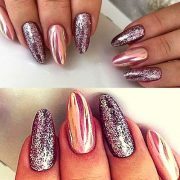 Add a touch of blue, violet, silver, glossy plum and lilac or a strong pink to have your eyes be more forward. Or if you prefer a more muted eye makeup style, emphasize your lips with a creamy lip stain, just like Jeremy Scott’s at NYFW19. 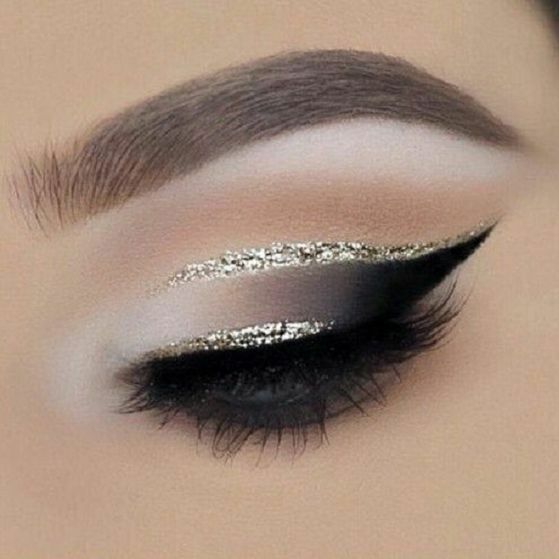 Glitter eyeliner will give a festive look to your brown eyes. Makeup tips for brown eyes. 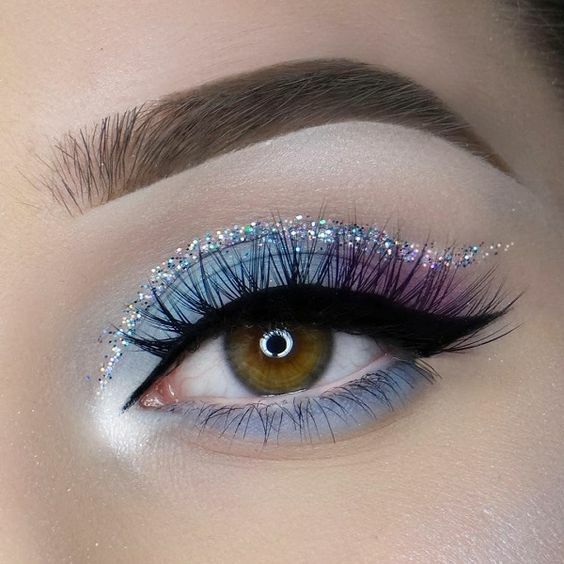 Make them stand out with violet shadow and a dab of silver eyeliner on your lower eyelid. Follow the Kenzo lead and wear a single eyeshadow color all over the upper and lower eyelids. Choose any vibrant shade you want! If you prefer the more subdued Missoni vibe, add a pastel green inner eye highlighter. This one is even better if you have wide-set eyes. Use white eyeliner as a graphic statement across your eyelid. 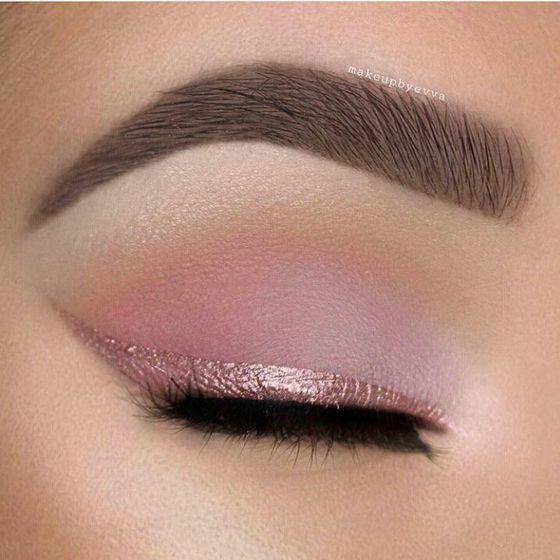 This pink shadow eye makeup is something fierce. Who said brown eyes are dull? Check out this makeup for brown eyes by @eleonoragobbo with pink eyeshadow and glitters in silver. 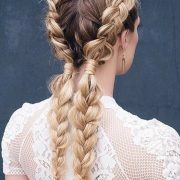 Photo Credits: divinebeauties, Sobrancelha, Ellahoy, Beauty, georgiasushodge, fashion daily. 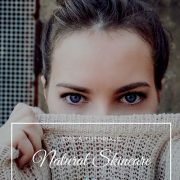 10 Natural Skincare Tips for Brides and Great Results with No Toxins!